Christmas White Elephant Clipart with 6 white elephants, 1 Christmas tree, 5 wrapped gifts, 1 Santa hat, 1 ornament, 1 Holly, 1 Mistletoe with ribbon and one red and white ornament garland bunting. 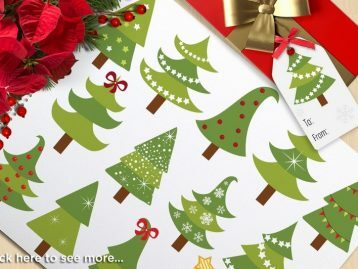 This Gift Exchange clipart is perfect for: printed paper products such as: scrapbooking, sticker sheets, card making, gift tags, cake toppers, party invitations, classroom decorations as well as lesson plans. 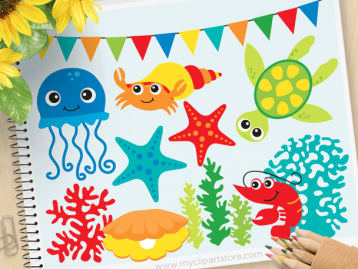 You can also use this for: Jewelry making, magnets, web design, business cards, T-shirt design and vinyl decals. 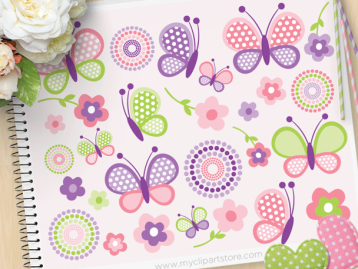 These elements are also very easy to use in digitized appliqué or embroidery designs. Christmas White Elephant premium vector clipart for personal and commercial use.